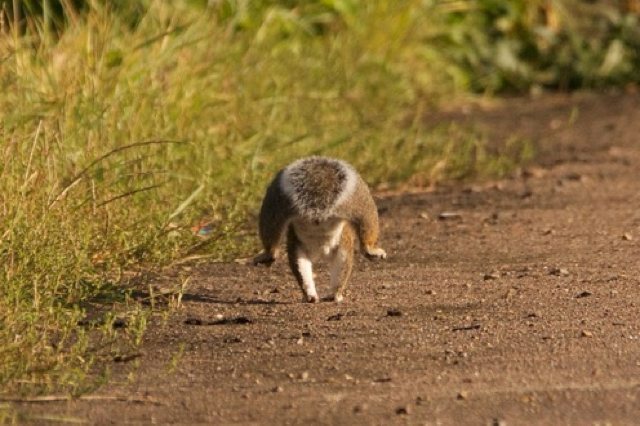 On the beaten track to capture some of the wildlife to be seen in and around the grounds of the Southwold Boating Lake and Tea Rooms. 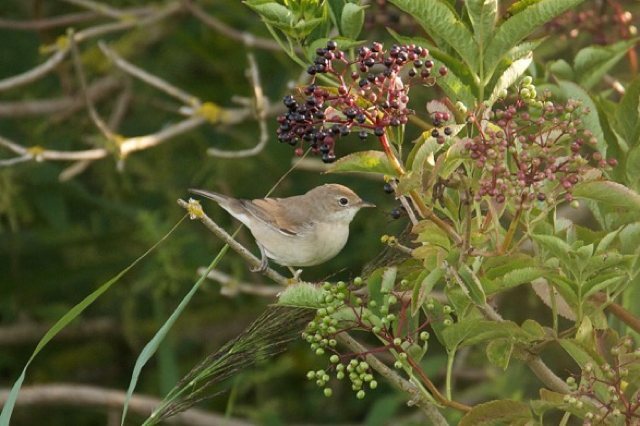 The whole area forms a rich mosaic of habitats which attracts quite a wide variety of creatures great and small. We really hope that you will enjoy your visit, all the pictures have been taken within a 1 kilometre radius of the boating lake cafe so it is possible that you may well encounter some of them. 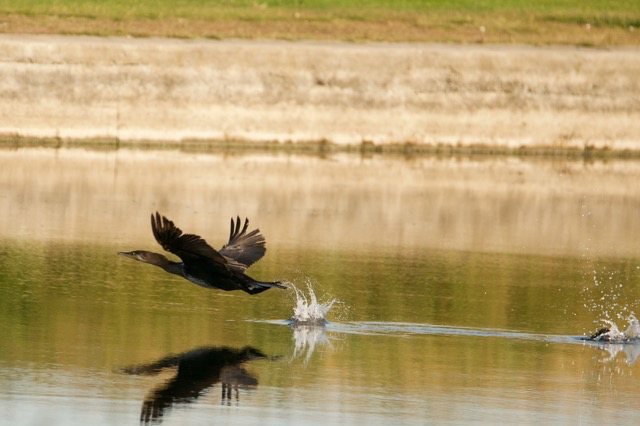 Cormorant cleared for take off and making a splash. 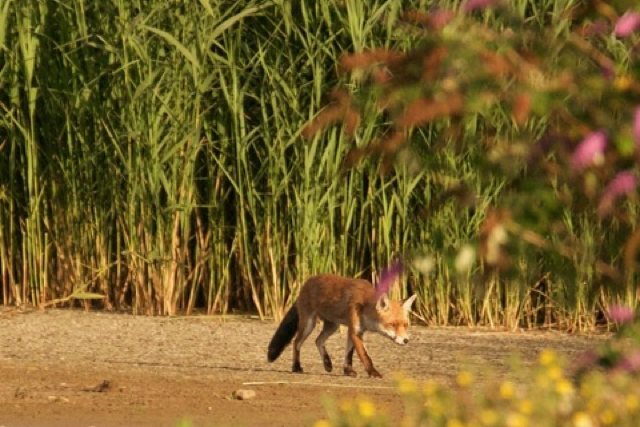 Foxy on the dried out Lagoon last week Hoping to catch the unwary. 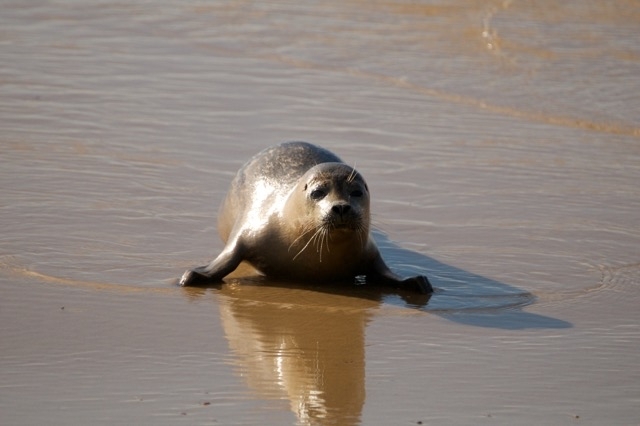 Baby seal on Southwold Beach. 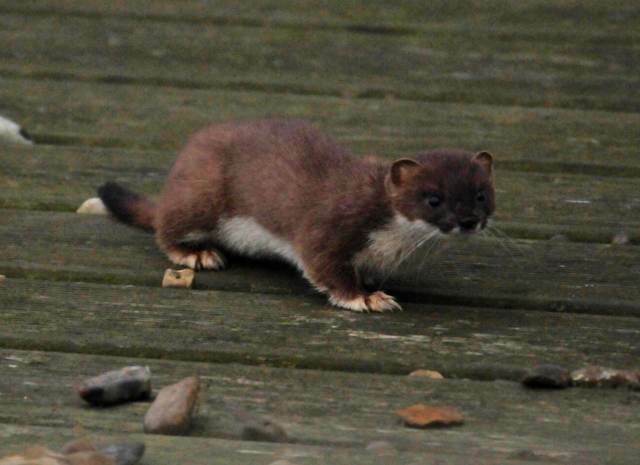 Lovely little stoat at dusk out on the decking. 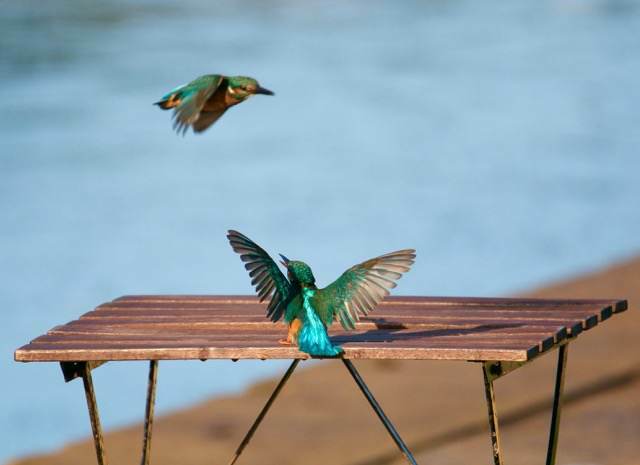 Without doubt one of our most dramatic and colourful birds, you will be lucky to get a glimpse as it speedily whirrs low over water and land, a riot of colour, cobalt blue with warm chestnut underparts together with a white throat, dark dagger like bill and red legs to complete the rainbow. 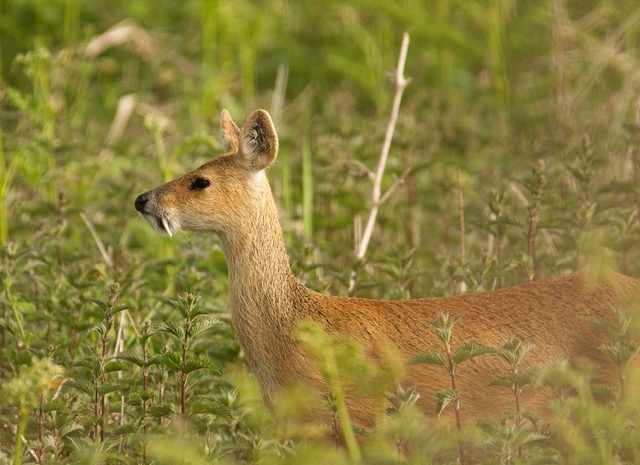 Small Chinese Water Deer, they are about early with the lark which is best time to catch a glimpse, both are escape artists, having fled from Woburn Park years ago and finding East Anglia to their liking decided to stay and set up home. 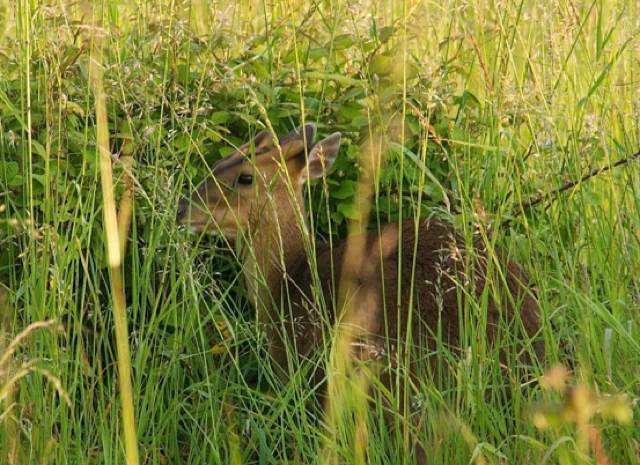 Small Muntjac they are about early with the lark which is best time to catch a glimpse, both are escape artists, having fled from Woburn Park years ago and finding East Anglia to their liking decided to stay and set up home.